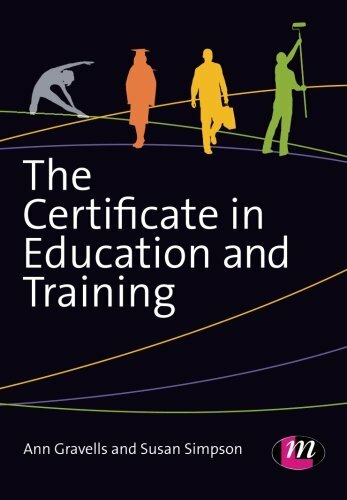 Téléchargez ou lisez le livre The Certificate in Education and Training de Ann Gravells, Susan Simpson au format PDF et EPUB. Ici, vous pouvez télécharger gratuitement tous les livres au format PDF ou Epub. Utilisez le bouton disponible sur cette page pour télécharger ou lire un livre en ligne. Ann has been teaching, assessing and quality assuring in the further education and skills sector since 1983. She is a director of her own company Ann Gravells Ltd, an educational consultancy based in East Yorkshire. She specialises in teaching, training, assessment and quality assurance. Ann holds a Masters in Educational Management, a PGCE, a Degree in Education, and a City & Guilds Medal of Excellence for teaching. She is a Fellow of the Society for Education and Training, and holds QTLS status. Ann has worked for several awarding organisations producing qualification guidance, policies and procedures, and carrying out the external quality assurance of teaching, assessment and quality assurance qualifications. She is a consultant to The University of Cambridge’s Institute of Continuing Education, Ofqual, and the awarding organisation Training Qualifications UK (TQUK). The teaching, assessment and quality assurance qualification titles change over time. Ann has written books in the past which reflect these titles and has updated them when they have changed. However, the content of the qualifications and the job roles which teachers, assessors and quality assurers carry out remain very much the same. Ann has now written three generic books aimed at covering all the teaching, assessment and quality assurance qualifications as well as the relevant job roles. It doesn’t matter what the qualification title might be called now or in the future or which awarding organisation offers it, these three books should meet the required content of them all. Ann’s first book Delivering Adult Learning was written in 2006 and was aimed at anyone taking the qualification of the same title. This book is no longer in print, but forged the beginning of her writing career and her aim of helping trainee teachers with their role. Susan Simpson is a lecturer in teacher training at North East Lincolnshire Council Adult Community Learning Service in Grimsby. She has 25 years’ experience of teaching in compulsory and post-16 education. Susan is a curriculum manager for education and training, ICT and Business Administration and Law. She developed, managed and taught adult education programmes in Botswana for 10 years. Susan has also presented at regional level for teacher training and nationally for ICT Skills for Life.